It is the end of December and as always, we are on the cusp of something. The new year is about to clear the air and we need something to steer us away and knock us off kilter for a little bit. Something with too many teeth and a cyclone grin. This is Will-o’-the-Wisp: our issue of friendly fire. This issue is all about the transitory and the tightrope walk. There are a couple of mischievous sprites lurking at the corners of this issue waiting to reach out and grab you. We cannot promise you that it will lead you to safety, but we think you will enjoy the journey. 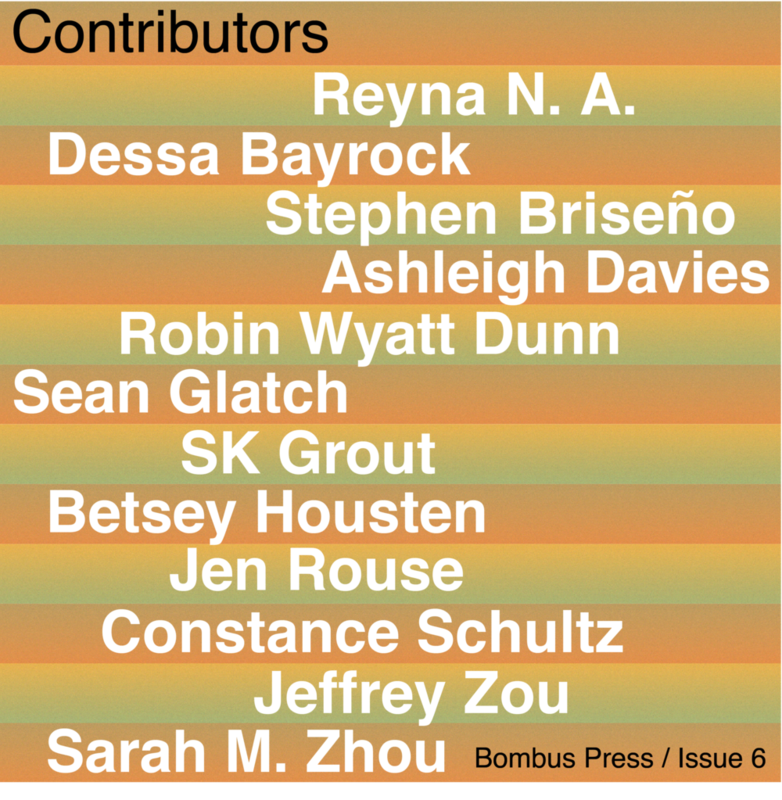 We would like to thank our eight contributors for their glorious words and art. We hope that you enjoy this issue and thank you for your continued support in helping to make all of this possible. Today is the Autumnal Equinox and the Midwestern weather is finally bringing in the barest whisper of a cold front. Meanwhile, your editors have been gallivanting amongst books and trees, putting our heads down, and studying for exams. We’ve also been putting all the pieces together for our next issue! Without much ado, we present the theme for issue seven: Will-o’-the-Wisp. What is Will-o’-the-Wisp? In its oldest form, it is a bit of friendly fire that appears over bogs and swamps and leads unwary travelers down a sinister path. It is Baba Yaga waiting in her hut on chicken legs or the dance of the Wilis in Giselle. It is myth, magic, and melancholia, but it is also jamming out to Monster Mash in your bedroom at 2 AM. If this issue was a painting, it would be Morgan-le-fay by Frederick Sandys (1964-65). If this issue was a constellation, it would be Auriga. If this issue was a piece of music, it would be Bach’s Partita for Violin Solo No. 2 - Chaconne. We want your hobgoblins, hinkypunks, sprites, pixies, and trolls! Send us your feverish writings that wink in the dark; your wild midnight rides and your conversations with deep waters. Submissions of writing and art are open until October 19th. Check out our submissions page for more guidelines on what we are looking for, or feel free to shoot us an email at bombuspress@gmail.com. As always, we seek to support and publish the works of diverse creators. We can’t wait to read your submissions! Here we are in August! The end-of-summer storms have finally arrived and I have spent most of this last week preparing myself for inevitable September, listening to Vivaldi, and slow roasting tomatoes in the oven. Perhaps most importantly, I’ve also been putting the finishing touches on Issue Six. Without further ado, welcome to Noodle Soup! If possible, we recommend reading this issue with a steaming bowl of udon, chicken noodle, pho, or whatever strikes your fancy. You might do well to conjure up some rain and find a comfortable place to relax and take in the works of our twelve contributors. Noodle Soup is about slowing down and taking time to interrogate the past. As Sean Glatch writes in his poem What the Roads Did, “The liminal spaces are always the most haunted.” There are some strange summer ghosts blossoming everywhere in the issue and we hope you take the time to get to know them. We thank you so much for all of your continued support over these past two years. Here is to the end of summer and many more issues to come! It is almost midsummer here and the weather has begun to flip-flop between early morning thunderstorms and cloudless afternoons. Time has seemed to slip away from us a little, but we have finally returned and are pleased to announce the theme of our sixth issue! Noodle Soup: something warm and comforting for the summer months. What are the things that you crave on an evening where all you can see are trees and stars? When it is unbearably hot out and you turn to colder memories and wish you could summon up a patch of snow, what do you turn to? Noodle soup is a staple in different cultures across the world. We want your fiercest and most vibrant memories, as well as the ones you would rather stay submerged. This is both our food and nostalgia issue. There are any number of words that have been composed for longing for the past, but we prefer to keep it simple this time around. Noodle soup is the grand equalizer, so don't burn your tongue! Or as Shakespeare wrote, "that is hot ice and wondrous strange snow." Submissions of writing and art are open until July 14th. Check out our submissions page for more guidelines on what we are looking for, or feel free to shoot us an email at bombuspress@gmail.com. As always, we seek to support and publish the works of diverse creators. M. E. Hoban earned her BA in English from the University of Michigan, where she spent four years on the editorial staff of Fortnight Literary Press. She likes dogs and feels most at home near water. My favorite writers are James Joyce and Oscar Wilde, although my favorite book ever is and probably always will be Gail Carson Levine’s Ella Enchanted. Lately, I have just finished a novel by Natsume Soseki and have moved on to a collection of the works of Richard Bruce Nugent. I love bell peppers. They can be cooked (or not cooked) in pretty much any way and add nice, cheerful colors to whatever you’re making, be it stir fry or salad. Like many of my favorite things, they are both practical and pretty. What do you like most about bees? Bees inevitably make me think of flowers—specifically, my mother’s front garden in summer, which in my head is always full of myrtle and orange lilies. So, I suppose I like bees because seeing them is always a sign that the weather is warming up and the flowers are blooming.